Viacom International Media Networks Italia will launch the Spike channel in Italy on October 22nd. The free-to-air general entertainment channel, primarily targeting a male adult audience (25-54 years), will be available nationally on DTT channel 49. The programme schedule will be based on three pillars – Action, Entertainment and Reality – realised through movies, TV series, factual, game shows, news and information and original productions. According to Andrea Castellari, the CEO of Viacom for Italy, Middle East and Turkey, Spike has an initial goal of 0.6 per cent audience share before reaching 1 per cent within a year. 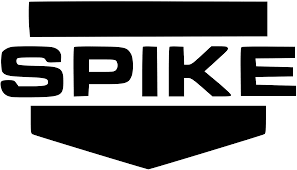 Spike will be Viacom’s sixth TV channel in Italy, joining MTV, Comedy Central, Nickelodeon (available on pay-TV platform Sky Italia), Paramount Channel and VH-1 (FTA on DTT).